This is the second RT10 vinyl record case that I have purchased from Fluance to house my expanding record collection, and I have to say it every bit as solid & well made as the first one I bought. The handle,hinges & latch are sturdy. The interior of the case is plush and well finished. The exterior is flawlessly joined & smooth. Overall, you really couldn't want a more solid,handsome, or well finished case for your precious vinyl records!!! I wanted to keep a few records away from my general collection and these really met my needs. Nice rugged case. Love the quality and the handle. 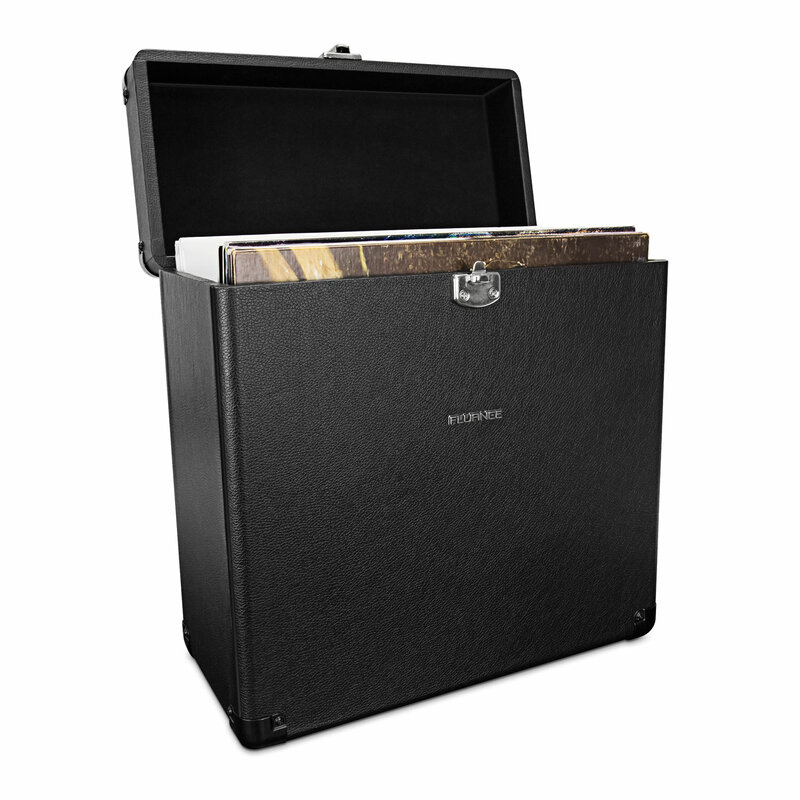 Makes traveling with records worry-free since you know it'll be well protected in the case.